The Winner(s) of the Sweepstakes will receive prizes below. The Cole & Mason Explode Your Flavor Sweepstakes is open only to legal residents of the fifty United States and District of Columbia, 18 years of age or older. The Cole & Mason Explode Your Flavor Sweepstakes ends on December 14 at 11:59 pm EST. 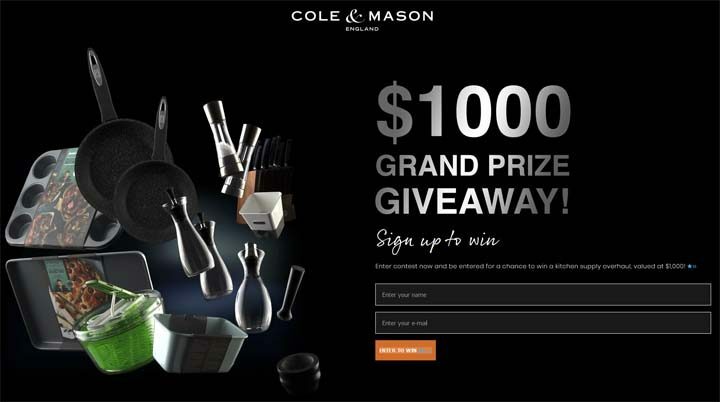 Enter the Sweepstakes by fully completing and submitting an electronic entry form located at coleandmasonusa.com/contests.